Welcome to the first review for this year’s Burger Month! I decided to have it start on September and have it happen every September from now. I was going to call it “Septem-Burger” but I though, “Ugh! What a pretentious and awful name!” So, I’ll just got with plain ol’ Burger Month! But hopefully, none of the burgers I’ll be reviewing for this month will be anything but plain! This year’s first burger is from Canada’s very own Triple-O’s by White Spot. Now, I have no knowledge of the franchise at all. So I’m pretty excited to see Canada’s take on a traditional American meal item. The outlet here is kind of nestled in the corner of the Atrium area of Megamall so, if you weren’t looking for it, you may actually miss it. The store is pretty new and probably only opened for a couple of months when I got there so everything is still pretty new and clean. The selection of burgers is respectable but there weren’t any really crazy or unique items on the menu. It pretty much runs the normal gamut of items: original (plain), cheeseburger, bacon and cheese as well as mushroom and cheese. Since I believe that bacon and cheese makes everything better (and the guy taking my order said it was their specialty), I decided to get the Bacon Cheddar Burger with a side of fries and Coke. The first thing I thought of when I got my meal was “the burger’s tall.” Not big. But tall. I’m not sure how I felt about that but I’ll get to that in a bit. Also, I do appreciate they put the pickle not in the burger itself but on top of the bun. It may seem weird but, at the same time, it makes total sense. A lot of people don’t like the taste of pickles. So giving customers the option to take a bite of the pickle when you dig into the burger is pretty smart. As I mentioned before, I noted that the burger is kind of tall. That in itself isn’t a bad thing. But, from what I’ve experienced with other burgers, the reason why they’re “lanky” is a) the burger is thick, which is a good thing. Or b) it’s stuffed to the brim with extras, which is an okay thing. 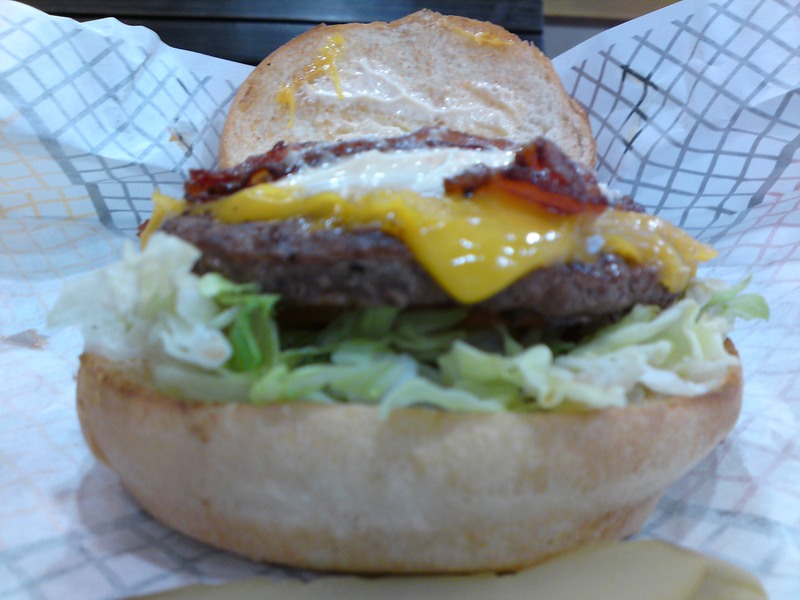 Triple-O’s Bacon Cheddar burger is an altogether totally different case. It’s tall because the buns are thick! I’ve never really seen a bun this think before! When compared to the sandwich as a whole, the meat patty itself composes a small part of the overall thickness of the Bacon Cheddar burger. While not exactly paper thin, I do think the meat portion isn’t that generous. Of course, size doesn’t really matter in the long run; it’s taste we’re after, right? My first bite into the burger was fine. The burger itself was tasty but not particularly juicy. I would have to say it’s a tad overcooked. However, the bacon was exceptional. I love it when they actually take the time to cook and prepare bacon properly. I’m pretty sick and tired of a lot of burger places just frying up some bacon and serving it without really making sure they’re crispy. The bacon here wasn’t a limpy, oily mess. The “special sauce” wasn’t really special; it’s good but I wouldn’t call it special exactly. While eating the Bacon Cheddar burger, I think I actually found out why they had to use really thick buns. It’s because the bread absorbs a lot of the sauce. If it were too skinny, it would’ve just turned into mush instantly! Oddly enough, there didn’t seem to be a lot of the special sauce actually. But the inside of the bread was getting pretty soggy and I’m just assuming it’s from the sauce. It doesn’t look like a lot of sauce, but it’s there! 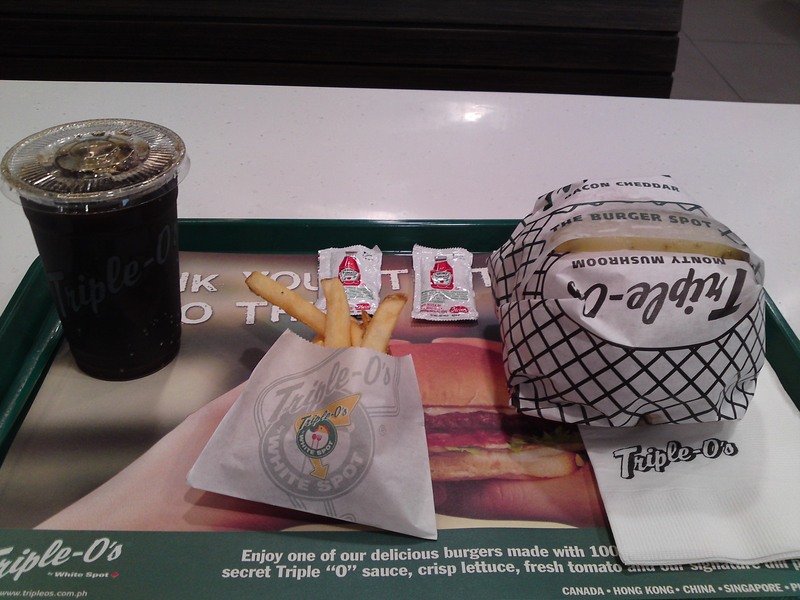 Even though there is a reason why the bread is thick, it just overwhelmed the burger. Either there wasn’t enough burger meat in the sandwich or there was too much bread. 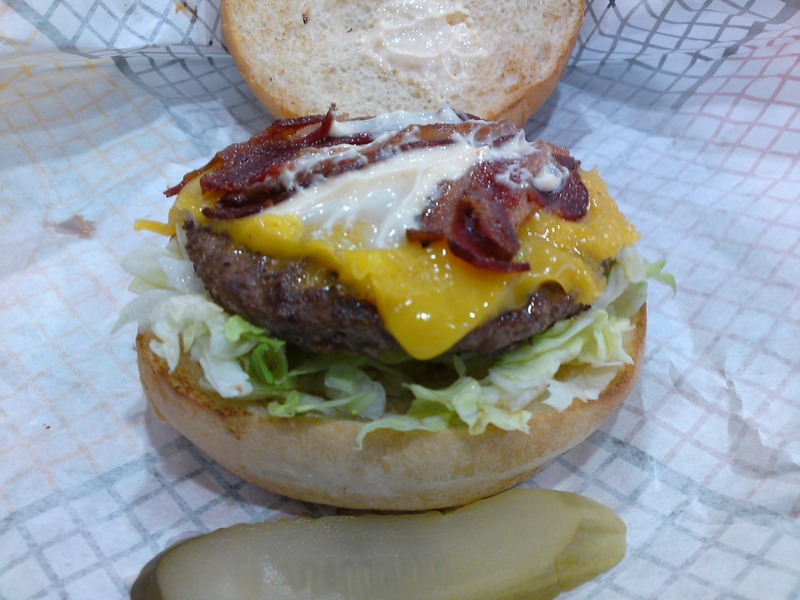 It’s disappointing since, like I said, the meat patty itself is pretty good and the bacon was done perfectly. If the bun was just thinner and didn’t overpower the entire sandwich, I would definitely recommend this burger. As it stands, I’d say Triple-O’s Bacon Cheddar burger is not something I’d actively go out to get myself. 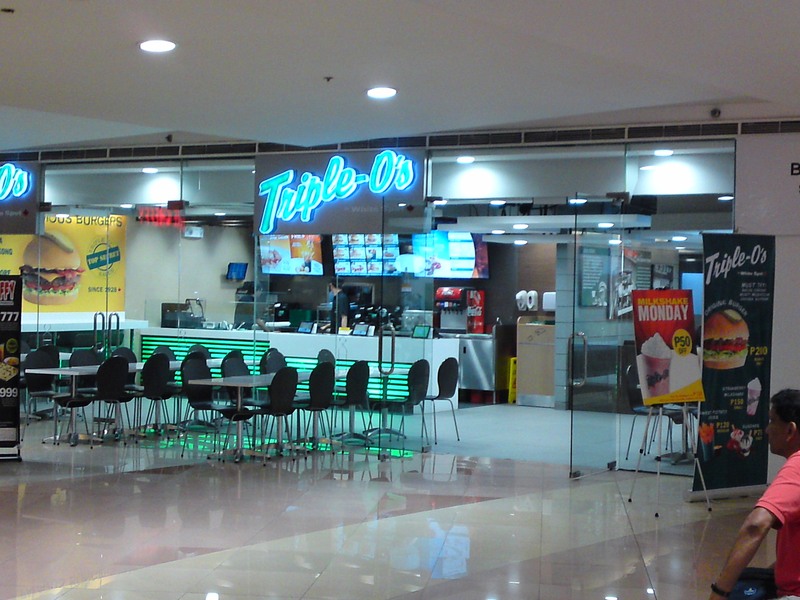 Have you tried Triple-O’s yet? What’s your take on their burgers? Let me know in the comment section below! ← SPECIAL EPISODE: Hello Kitty Is A Cat, Period!